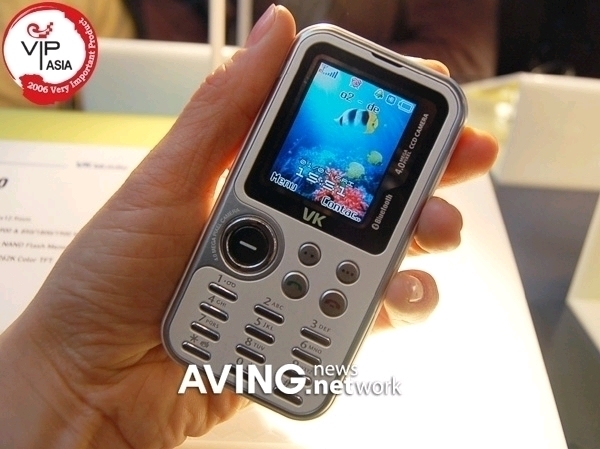 After the 9.9mm 3G phone, VK present you the VK2200 4 Megapixel Phone. 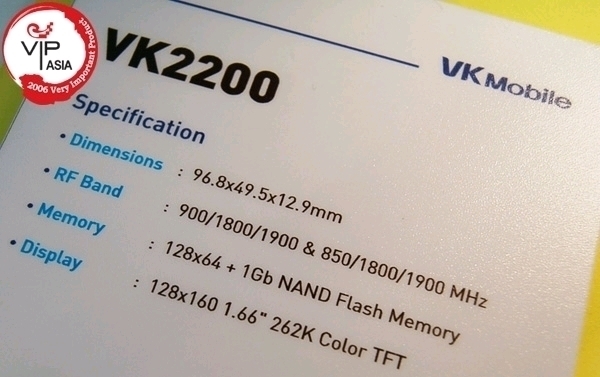 It may not be so impressive as you may have heard about the 10 Megapixel Phone by Samsung, but the VK2200 is as slim as 12.9mm. 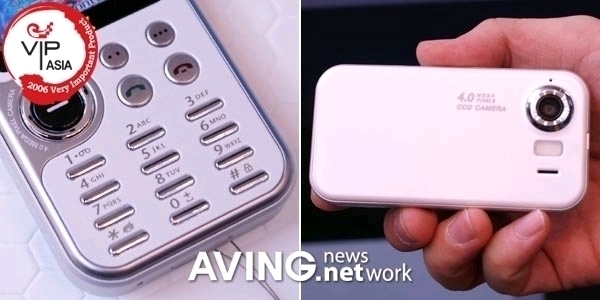 In such a slim body, the phone is equipped with a 4 mega pixcel CCD camera and a 2 megapixel VGA dual camera in the front while it also features a 262k color 176X208 TFT display, Bluetooth connectivity, playback of MPEG4, stereo speaker and 1GB nand flash memory. It aloso comes with document viwer and supports MicroSD. 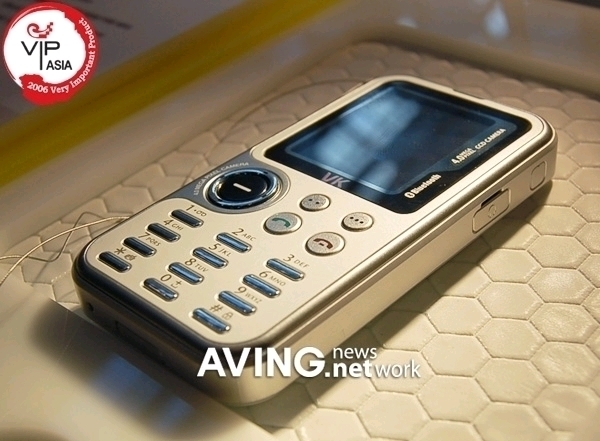 In Kyun Jung from PR department at VK said that VK 2200 is the only model displayed at CeBIT 2006 as a 4 mega pixel slim camera phone that can be commercialized right away. He added that it indicated VK’s advanced design and technology.